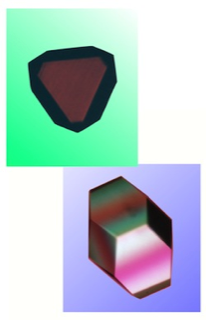 Finding conditions that optimally stabilize proteins in solution can aid the formation of crystals for X-ray structure determination, since crystallization generally favors 3D lattice assembly from structurally identical objects. Protein molecules are intrinsically dynamic structures that can undergo structural excursions from the ground state as a result of thermal fluctuations. Finding conditions that maximize protein thermal stability has the effect of reducing the structural heterogeneity of protein dynamic states, leading to improved crystal formation.